This spectacular Tuscan Custom Home sits on 1.84 acres in the desirable gated community of Pinnacle Paradise in North Scottsdale! 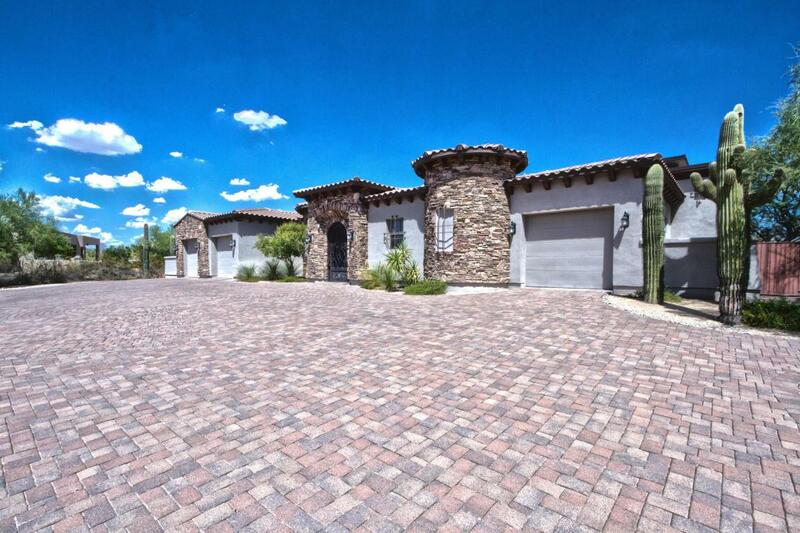 This exquisite estate has expansive mountain views of Pinnacle Peak & the McDowell Mountains. An open floor plan with Travertine stone flooring & plush neutral carpet throughout-the gourmet kitchen has gorgeous granite counters, high-end Wolf 6 burner double oven range & 2 additional Wolf wall double ovens! Sub Zero refrigerator/freezer as well. A full basement complete with walk-in wine cellar, wet bar, home theater, elevator, sport court, fire pit and resort style pool & spa make this home an entertainer's dream! An attached guest house with separate garage/entrance & so much more! Don't miss out on this exceptional home. Schedule your showing today!